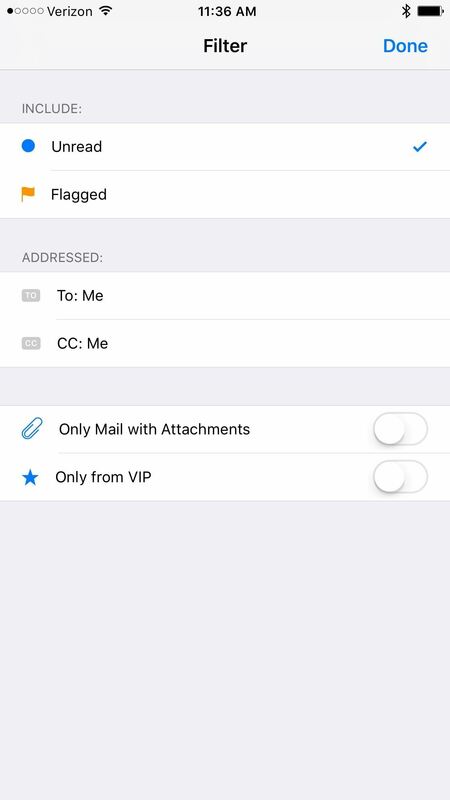 While filters were technically available in Mail for iOS previously, you would have to hit "Edit" on the main Mailboxes view and add them as folders, which made your already crowded main screen even more crowded. 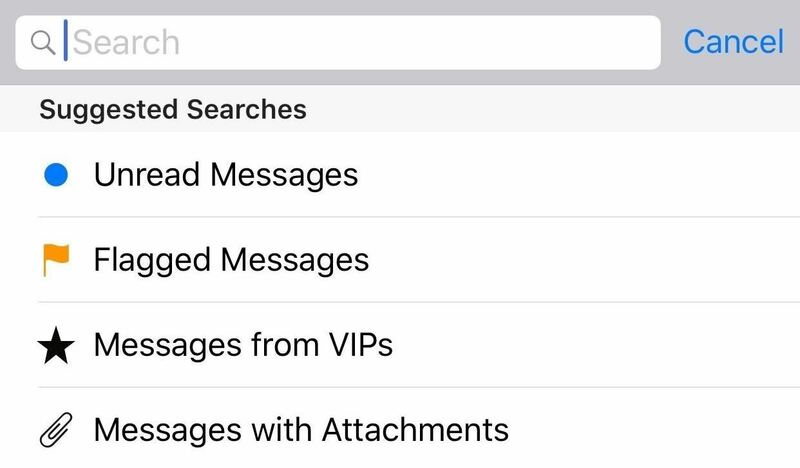 Of course, you can still do this in iOS 10 if you want, but there's now a much cleaner alternative you can use whenever you want to do a quick search—and it's available in every folder you have, not just the main Mailboxes view. 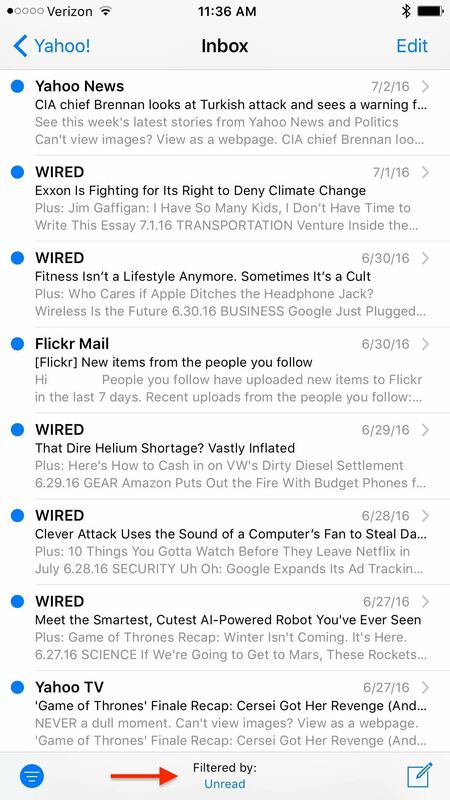 On the main Mailboxes view, or from within any mailbox or folder, tap on the three-line icon in the bottom left. 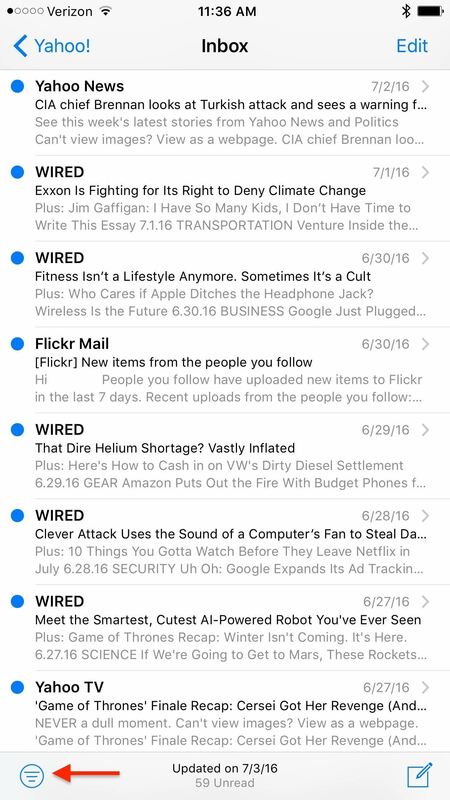 It automatically defaults to "Unread," but you can tap on the "Filtered by" option to bring up more choices. In addition to these quick filtering options, you'll also be presented with some options when beginning a standard search. Just tap in the Search box, and you'll see some suggestions, including unread, flagged, from VIPs, and with attachments. Note that after you perform a search, the filter button will not be displayed, so you have to filter first before actually searching.